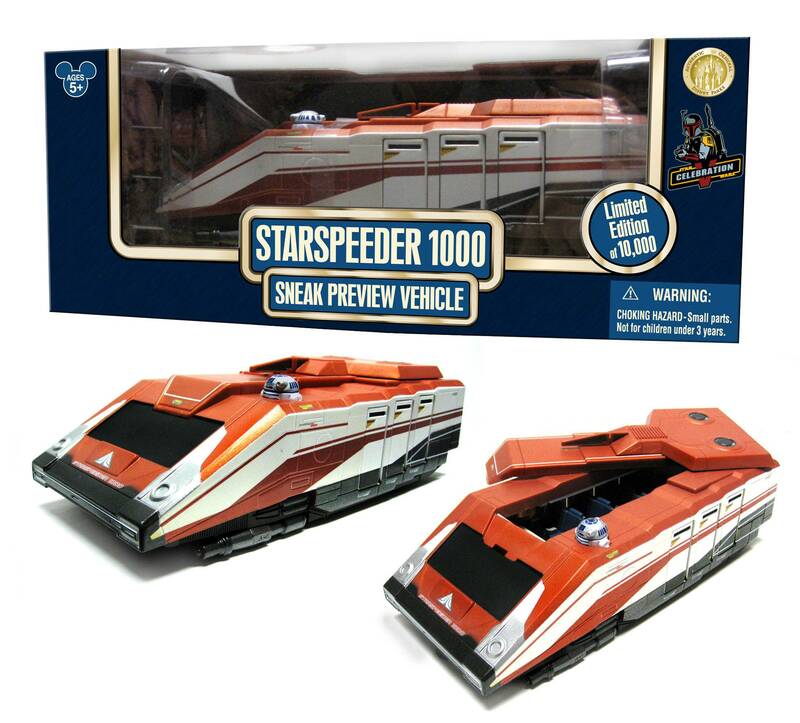 Since Star Wars Celebration V is in Orlando you would have to expect some cool Star Tours exclusives. The folks at Disney Theme Park Merchandise were kind enough to pass along some info and images of some of the exclusives they will have available at Celebration. 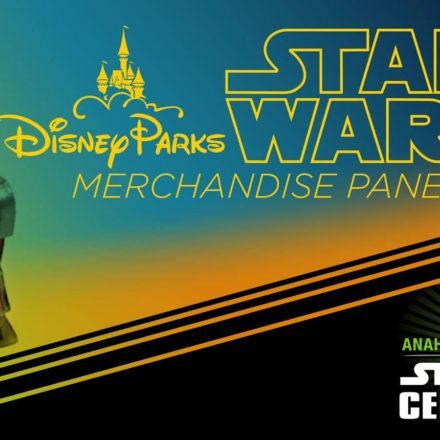 Be sure to catch the Disney Parks Toy Collectors Panel, currently scheduled on Friday, Aug 13 from 12-1pm. Where you can hear more about Disney Parks exclusive toys. Located at the Behind-The-Scenes Stage with Pablo Hidalgo (W414 ABCD). 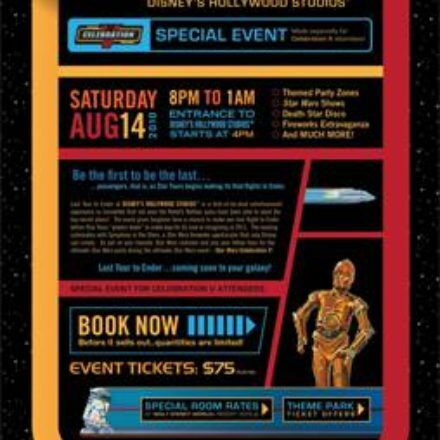 “In 2011, a spectacular new Star Tours adventure will make its debut at the Disneyland Park and Disney’s Hollywood Studios. Based on the iconic Lucasfilm “Star Wars” saga, this immersive attraction will take you on all new adventures in a galaxy far, far away. 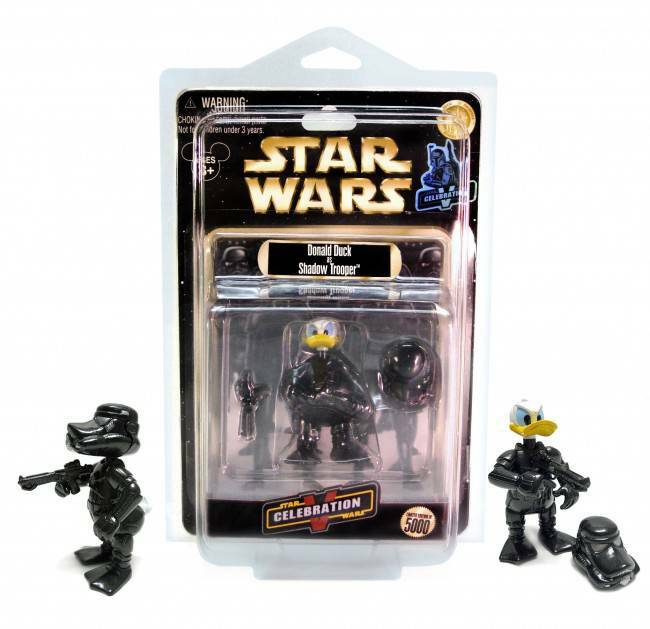 “Donald Duck explores his darker side as he portrays the Empire’s stealth soldier, the Shadow Trooper. With his advanced armor, Donald Duck can create mischief throughout the galaxy and then silently slip away to his next adventure. Thanks to Disney Theme Park Merchandise for the information and images.